Whether it is home moving or office moving, several things could ensure a hassle free, convenient and safe moving process in and around GTA. To ensure that the belongings are safe and secure, it is essential that you focus enough on packing. The right kind of packing can ensure easy transit, safety and security of goods and the much needed protection from damage. Read on to know what kind of moving boxes and moving supplies you will need to procure. In order to accommodate the diverse sizes and nature of items to be packed and moved, moving boxes come in a variety of sizes. The choice of right size boxes is very essential. Small moving boxes are ideal choices to pack videos, books, tapes, small kitchen items and small appliances. If you are going to pack smaller stereo equipment, linens, toys and kitchen items, then you will need medium size boxes. Oversized items and linens will need large sized boxes. You will need extra large boxes to pack bulky items including comforters and pillows. Kitchen boxes and dish packs are designed in order to protect the fragile items since they come with double walled arrangements. You will find a considerable difference in thickness between the regular box and a dish pack. You will use this box for packing dishes, plates, glasses and other range of fragile items. You will find in the market wardrobe boxes that can facilitate hanging clothes. These boxes feature a secure steel bar that will accommodate hanging. Framed pictures, mirrors and glass tops can be packed in mirror boxes. While shifting important documents and office files, you will find file boxes come to your rescue the most wonderful way. Therefore depending on the size, quantity and nature of things, you will have to choose the right kind of boxes. In fact, this is a crucial step involved in packing and moving since right kind of boxes will mean the much needed protection to your belongings. There are some other important moving supplies you need to focus on. Procure a permanent black marker. You need to mark all the boxes so that you will be able to identify them easily while unpacking and arranging at your new home. Packing tape and a tape dispenser are essential items. Since you will need to work with a large number of boxes, these supplies will make the job easier, quick and simple. Always go for professional brown tape for packing since many other kinds of tapes like duct tapes and mask tapes do not stick well with the carton boxes. Never underestimate the importance of packing paper. Since newspaper could stain your valuables and other items, it is better you avoid them. If you are going to give extra padding around items already wrapped with packing paper, then you might use newspapers. Paper pads are exclusively designed for wrapping larger goods of your home. While they provide an excellent protection, they are very easy and quick to use. These boxes are ideal choices to pack glasses, vases, collectibles and other fragile items. Bubble wrap also can work well with fragile items. 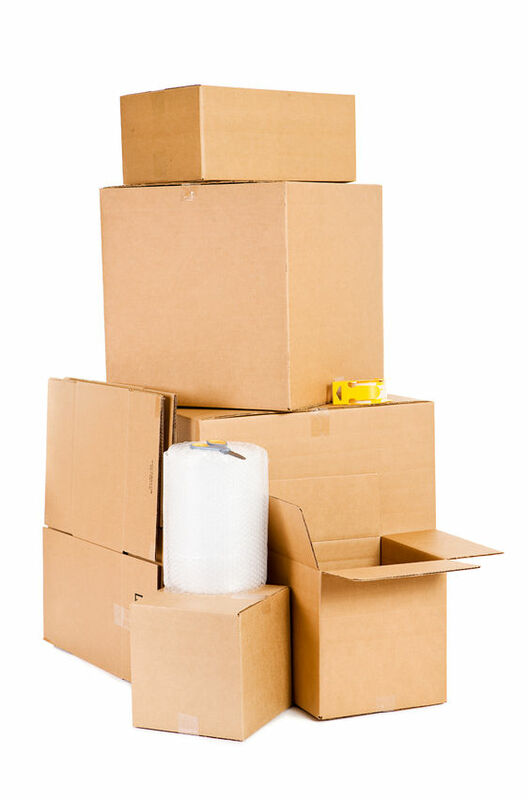 Your moving supplies and boxes mover understands that your items are very important to you, and want to provide you with the very best of packing materials.